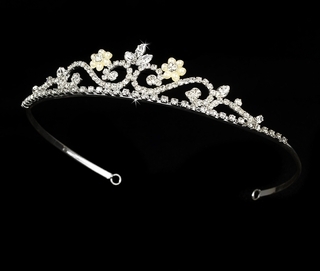 This lovely tiara has a delicate, feminine look that makes it the perfect accessory for any gown! 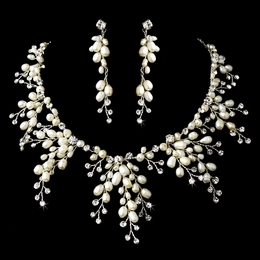 It features a floral pattern of clear rhinestones and ivory faux pearls on a silver-plated base. The band ends in two loops that allow you to secure it into your hairstyle with bobby pins. 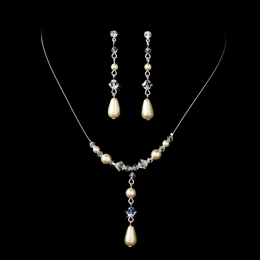 Size: The ornamented portion of the band measures 6-1/4" wide and 1" tall at the center.